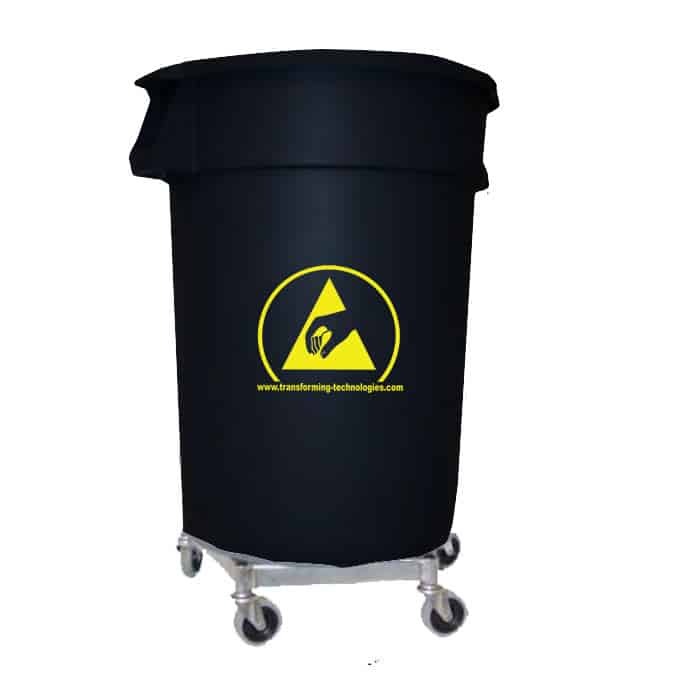 Conductive ESD dolly used with the WBAS180 ESD trash can to create a conductive path to the floor that is mobile. 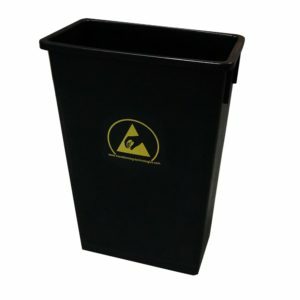 Quickly move your 44 Gallon ESD Trash with a conductive dolly. 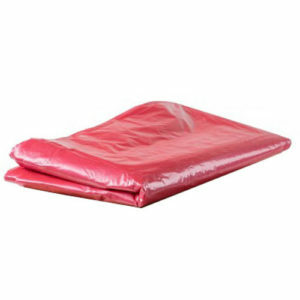 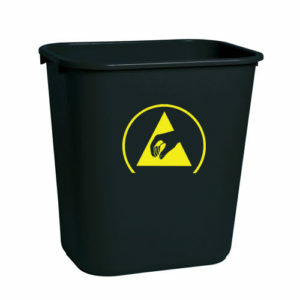 The WBASDM provides a user-friendly solution for heavy ESD trash containers. 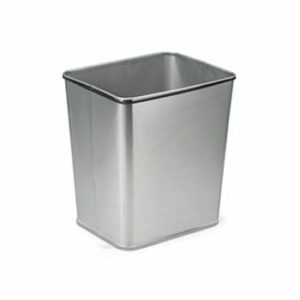 It locks on to the 44 gallon WBAS180 Transforming Technologies container. 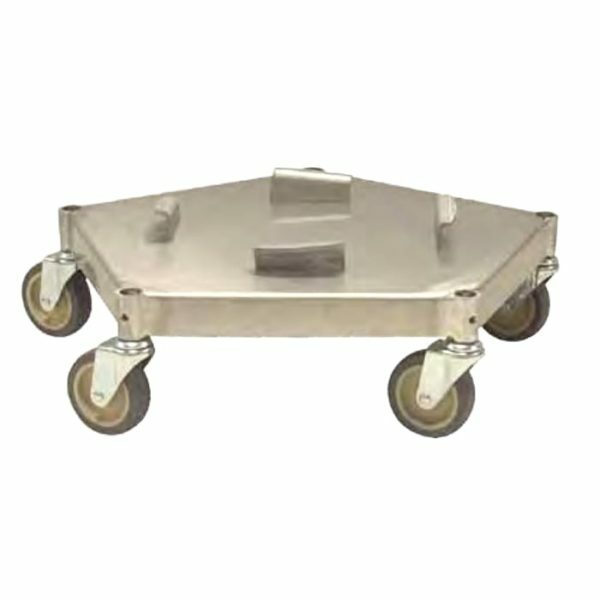 The 5 heavy-duty casters provide stability for loads up to 350 lb and two casters are conductive to provide a path to ground for ESD charges.